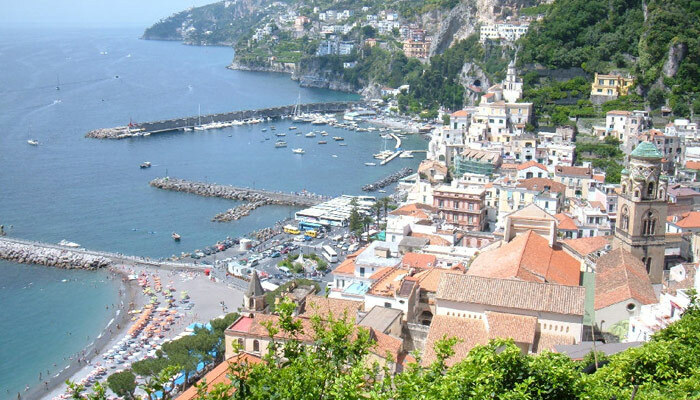 Would you like discover the best Amalfi Coast tours? Choose the best day trips and tours from Hotel Torre Saracena! 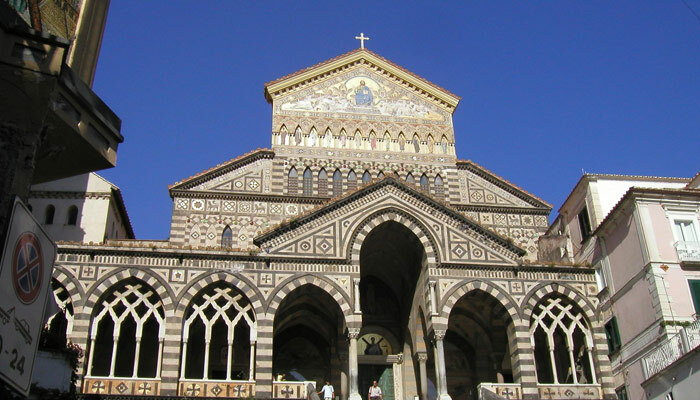 Amazing places to visit during your Amalfi Coast tours, when you stay at Torre Saracena hotel: Saint Andrew Cathedral, “chiostro del Paradiso”, Piazza dei Dogi, “Antichi Arsenali”, Paper Museum, the path of “Valle delle Ferriere”. 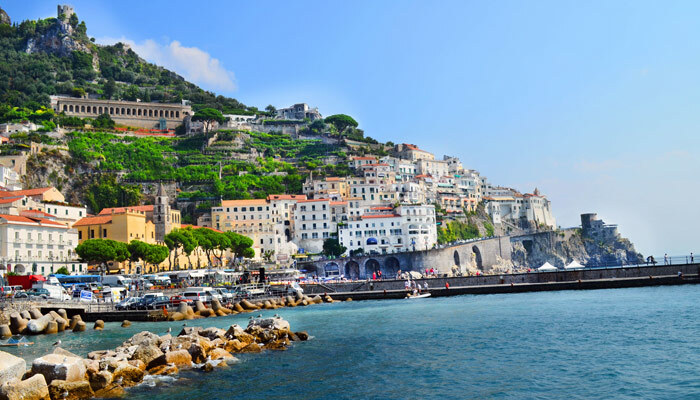 Amalfi is the most important town on the Amalfi Coast. Its harbor was the center of the commerce during the ancient Maritime Republic: wonderful scenery from the mouth of the Valle dei Mulini until its fabulous beaches. 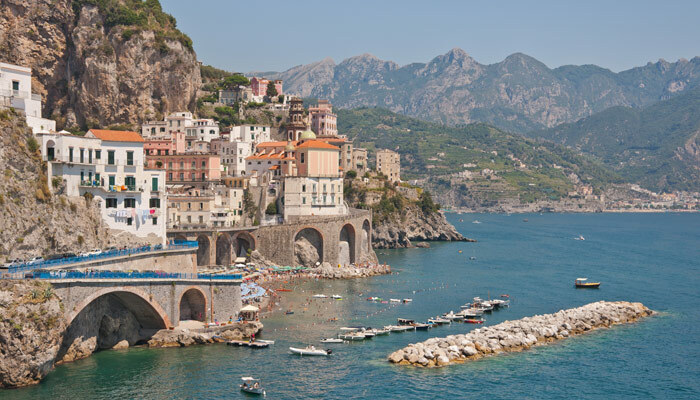 Amalfi, named la Divina, extending itself over 50 km from Vietri sul Mare to Positano and overlooking the gulf of Salerno. 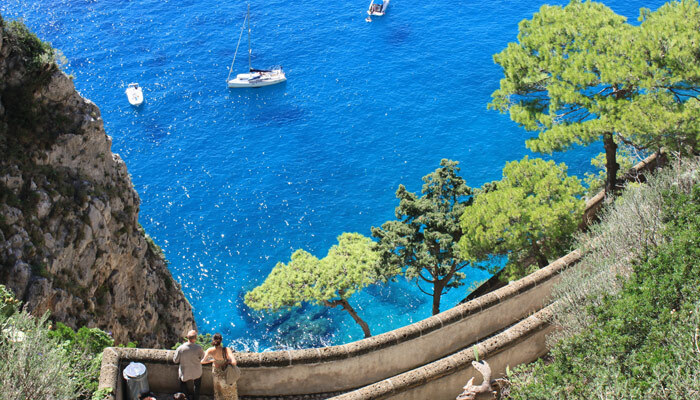 In the middle of 1800s, thanks to Prince Ferdinand of Bourbon and the construction of the coastal road between Vietri sul Mare and Positano, Amalfi became one of the best known locations of the Amalfi Coast Tours. Like a crib on the sea, Amalfi preserves is charm in the little white houses, romantic alleyways and porticoes, and the ancient maritime Tower. The Cathedral of Saint Andrew has an impressive stair of 62 steps. The bell tower is the original byzantine of the 9th century, completed in 1276. The interior of the church is baroque and the façade was re-built in the 19th century because the original baroque collapsed. The crypt preserves the bronze statue of Saint Andrew. The ancient arsenals are the remains buildings where the marine republics ships were constructed. It is the setting for the Civic Museum. It is located in Via delle Cartiere 24, in the historic Cartiera Milano. This is one of the ancient paper mills where the hand-crafted paper, called bambagina, was produced. Today the paper of Amalfi is one of its most important handicraft products. Valle dei Mulini and Vallone delle Ferriere. Amalfi to Atrani, along the Via delle Signore. the Vallenula and the 10th century Church of San Biagio, with its 18th century majolica floor.